Heath Media | We are creators of content. We are curators of experiences. Through a wide range of mediums and publications, Heath Media publish internationally recognised content on a daily basis. [Website] Australia’s premier independent music, arts, travel, food and lifestyle publication. Now also with Film, TV, Video Games, Technology and Pop Culture following the merger of our old site The Iris. [Event] The fourth annual NLMAs takes place across 8 States/Territories around Australia on 5th December 2019. [Event] A celebration of the best in new music-focused cinema from Australia and around the world. Returning November 2019 in Sydney/Cronulla. [Website] Australia’s largest digital publication focusing purely on Asian Music and Culture for an English speaking audience. [Print] Musicians talking about percussion instruments. Artwork and photography inspired by percussion instruments. A fundraiser for SoundSchool. [Print] A celebration of the year in the Australian live scene. Editions available for 2010, 2011 and 2014. [Project] Captured ran for three years, bringing together filmmakers and musicians for a special touring event. Through a wide range of mediums and publications, Heath Media publish internationally recognised content on a daily basis and run events around the world. Heath Media's flagship website The AU Review is one of the most read independent publications in Australia. With a focus on Music and Travel, and sections devoted to Arts, Film, Books, Gaming, Pop Culture, Food and Lifestyle, the website's broad appeal focuses in on the 18-35 market and has been running since 2008. Off the back of the AU, Heath Media has launched the popular Asian Music and Culture publication Hello Asia! Together, the publications have reach to over 8 million people internationally a month. 2015 saw the official launch of the AU sessions as a monthly live event in Sydney and the return of the Heath Media project "Captured", for its third instalment. Heath Media also ran its first ever event in Canada as part of Canadian Music Week in Toronto. 2016 kicked off with Heath Media taking over the Courtyard Sessions for the Seymour Centre in Sydney, as well as relaunching the Food & Lifestyle, Travel (AU Abroad) and Arts websites. On November 29th, we launched the National Live Music Awards, which returns for its second installment on 7th December 2017. Heath Media also programs and operates the Australian Music Week Film Festival, which runs 31st October to 3rd November, 2017. In addition to its regular content creation across its digital platforms, Heath Media has published four books including three installments of the "Australia's Year in Music" series and the Sound School fundraiser "Percussion." The AU Review. Hello Asia! Australian Music Week Film Festival. In The Round at The Vanguard. The AU Sessions. Captured Australia. National Live Music Awards. Courtyard Sessions. Percussion. Australia's Year in Music. AU Magazine. Video Production. Editing. Directing. Audio Work. The AU Review is celebrating its tenth birthday with a special party at SXSW; an official showcase at Australia House with Hello Asia! A new singer/songwriter series launches at The Vanguard in Newtown, inspired by the Bluebird Cafe in Nashville. The 15th event is on 12th March 2019. 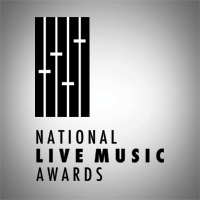 The 4th Annual National Live Music Awards return this December with events happening simultaneously around Australia. 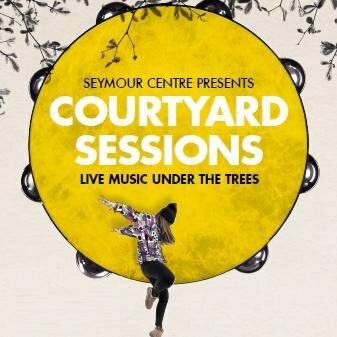 Heath Media is curating the Courtyard Sessions at the Seymour Centre in Sydney for the fourth year, running this Summer – with special events for Mardi Gras!